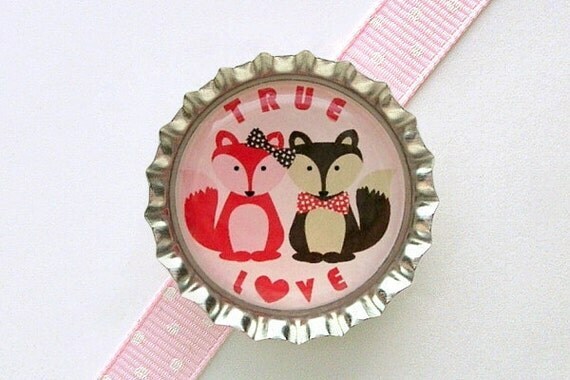 Woodland foxes bottle cap magnet for only $1.50 USD. Magnets make great gifts or party/wedding favors and are perfect for collecting. Measures approximately 1 inch diameter, made with a strong rare earth neodymium magnet and is covered with a dome shaped epoxy seal.